These special illuminators provide intense, evenly diffused illumination. 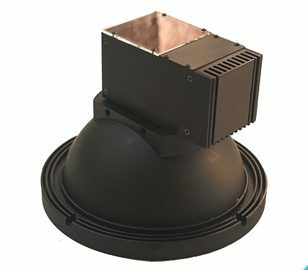 The Diffused Dome Light is ideal for inspection of reflective, specular, rough or topographic surfaces. Optical grade reflector coating returns 99.9% of light for optimum diffused output. Current dome lights range in size from 1.4 inches (36mm) to 44 inches (1106mm) ID. The Diffused Dome Light is available with a wide variety of LED colors such as white, red, green, blue, IR, UV (365nm and 395nm), and RGB. Dome lights are ideal for providing even illumination of curved, specular or rough surfaces. Coaxial lights provide diffused on-axis illumination. Using the coaxial light with a dome light allows for complete, uniform, and diffused lighting by filling the void created by the dome's camera viewing hole. 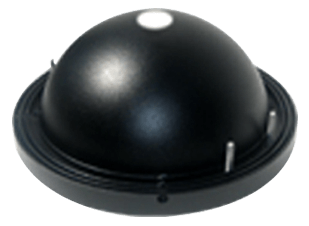 The Metaphase CODL (Co-Axial Dome Light) conveniently packages these units together to make integration of the DAL with the Dome light simple and easy. These special illuminators provide intense, evenly diffused illumination. The Diffused Tube light is ideal for inspection of reflective, specular, rough or topographic surfaces. Optical grade reflector coating returns 99.9% of light for optimum diffused output. 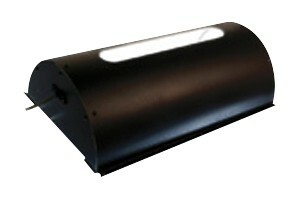 The Diffused Tube Light is available with a wide variety of LEDs including white, red, green, blue, IR, UVL, UVS and RGB.